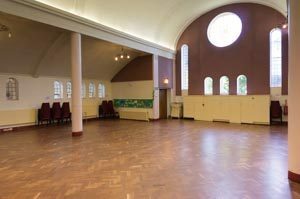 We have two church halls available to hire, the Good Shepherd Hall, Handen Rd, SE12 8NR and St. Peter’s Church, Eltham Rd / Weigall Rd, SE12 8HQ. You can see the location of each hall on our Find us page. The details of each hall and who to contact are below. 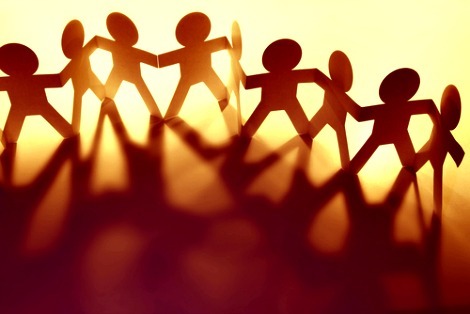 We’re keen to make our halls available to the local community, and hope you feel welcome! The church building has been adapted for flexible use. 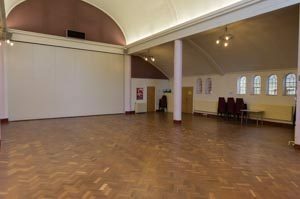 There are two spaces available for hire when they are not needed by the church: the Main Hall and the Parish Room. 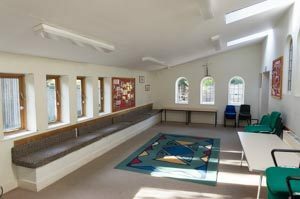 Folding partition doors between the church and the hall provide a large separate hall with a high central ceiling, and good natural light. It has a central space of approximately 11 metres long x 6 metres wide, and a further side area with lower ceiling which is 9 metres long x 3 metres wide. This hall has a maximum capacity of 120 adults. There is ramp access via a side door, men’s and women’s toilets, and a separate disabled toilet with baby changing facilities. 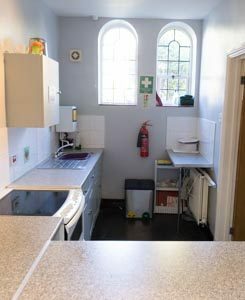 A modest kitchen, with hatch access onto the hall, is also available to use free of charge when hiring the hall. This has an oven and a small fridge. There are approximately 50 chairs and 8 small trestle tables that are stored in the hall for the use of hirers. There is a further supply of large and small trestle table stored in one of the side rooms. Bouncy castles are permitted in the hall. 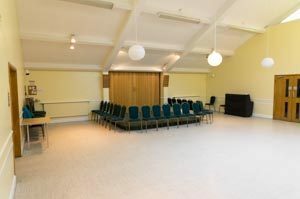 Hire fees for the Main Hall are £30 per hour, with a reduced rate for regular bookings. 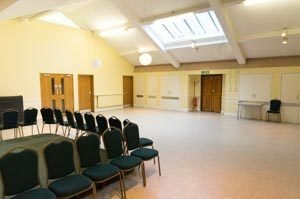 There is also a separate meeting room off the Main Hall which can be hired separately, or together with the Main Hall This is a smaller space, approximately 6 metres x 3.5 metres. It has bench seating along one wall and tea and coffee making facilities at the rear. It is suitable for smaller meetings and events of up to approximately 20 adults. There are around 20 seats stacked along one wall of the Parish Room. 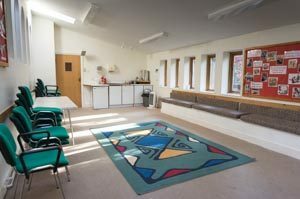 Hire fees for the Parish Room are £20 per hour. Parking in the streets around the Good Shepherd is usually available, although there are parking restrictions in place between 10am and 12 noon Monday to Friday. 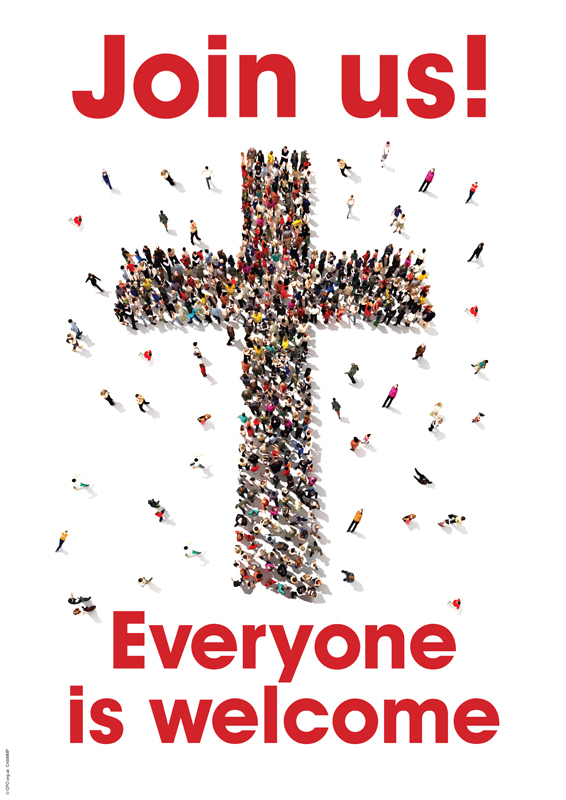 For regular bookings, please contact the Good Shepherd Bookings Secretary: booking.gs@goodpeter.org.uk for more information. 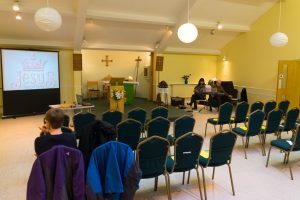 St. Peter’s Church is a flexible, multi purpose space that’s used for services on Sundays, and can then be used by other groups during the week. It is a medium sized hall measuring approximately 10 metres by 10 metres. There is a small raised platform in one part of the hall. Next to the main entrance there are women’s toilets, and a single wheelchair accessible toilet including baby changing. There is also a good sized kitchen with oven and small fridge that’s available to use when hiring the hall. The hall comfortably seats around 35 – 50 people, and there are 50 chairs stored in a cupboard off the main hall. There are also 8 small trestle tables, and 3 large trestle tables available. Hire fees for St. Peter’s Church are £25 per hour, with a reduced rate for regular bookings. 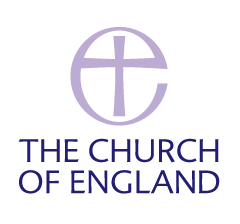 For regular bookings, please contact the St. Peter’s Bookings Secretary: booking.sp@goodpeter.org.uk for more information.